Back in July 2012 I was walking around in a small park by the railroad tracks and the Hudson River at the end of Liberty Street in Ossining, NY. I don’t even know the park’s name. I noticed this hole and finding it vaguely interesting took a picture of it. Since it wasn’t much of a picture I didn’t think any more about it. Until recently. I was looking up the history of Sparta for a recent post: A walk around Sparta when I came across this reference: “About a mile south of the village green is the Sparta Mine, a silver and lead mine that was worked prior to the Revolutionary War”. I don’t know where the “village green” is/was, but if it was referring to the centre of Ossining then “a mile south” seemed to be about right. An old lead and silver mine located about 1 mile (1.6 km) south of the Ossining railroad station. “Mr. Sampson Simpson…obtained many valuable mining rights from individuals and the Crown of Great Britain…the silver mine at Sing Sing, Westchester County, New York, [was] very extensively worked and proved exceedingly rich. [This] mine yielded a large quantity of native silver, some portions of which may now be seen at the office of Sampson Simpson, Esq., No. 13 Beekman Street, New Tore. The article also included some pictures, which seemed to confirm that this is indeed the mine in question. 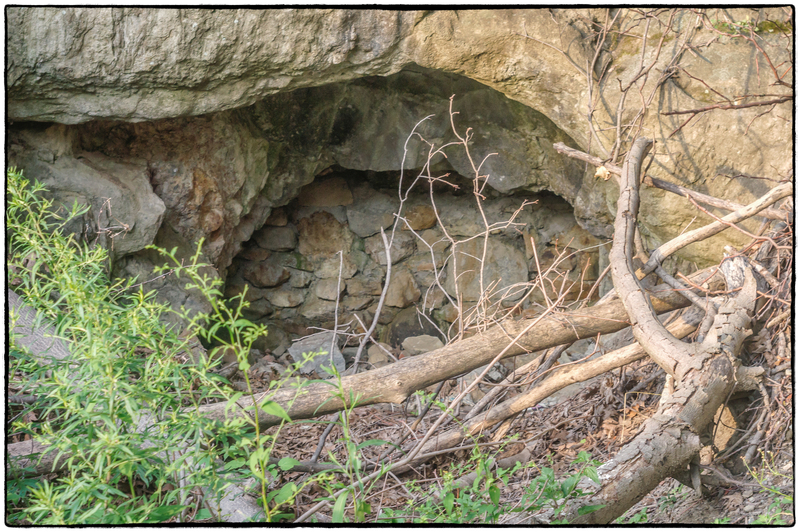 The Sparta Mine was discovered around 1820 by the Westchester Copper Mine Company. Later on April 12, 1824, the company was officially incorporated with Edward Kemeys serving as president. In the fall of 1827, a 30 foot deep shaft was deepened to 80 feet in depth. An adit met the shaft at a distance of 400 feet in from its mouth. Several tons of rich ore were removed from this shaft, some of it yielding 75% copper. In addition, lead was also produced. Further shaft sinking reportedly totalling 530 feet failed to locate ore. Under the guidance of Joseph Tregaskis, the Westchester Copper Mine company hired miners directly from Cornwall, England. Around 1860, Kemeys refurbished the shaft with the intent of continuing mining but this effort was short lived. Another site (Abandoned mines.net) suggests that the mine was accessible as recently as 2009.